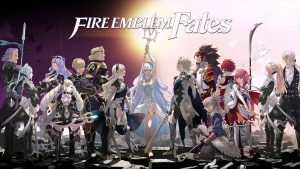 It was Fire Emblem: Awakening which helped to establish the Fire Emblem IP as one of Nintendo’s best and Fire Emblem Fates built on top of the previous game’s structure and made something even better. Sadly, this game didn’t seem to receive quite as much praise as its predecessor, but I definitely think it deserves just as much, if not more. At its heart, it’s similar to the previous games in the series: it’s a turn-based tactical RPG which tells the story of a prince involved in a conflict between two kingdoms in a fantasy world containing dragons. Every unit you use is a unique character with their own story and you can improve relationships between characters (and stats) by having them fight side by side. There are a few changes to the classic formula, however, and I feel that these my be at the heart of some people’s mixed feelings. First of all, while you can play through the game with permadeath on, it feels as though it was designed to be played in Casual Mode. Casual Mode was introduced in Awakening as an option for players who were new to the series, because it was felt that permadeath might make things too hard and stressful. I completed Awakening with permadeath on and had completed several of the other games in the series too, but Fates was so extremely difficult that I switched to Casual Mode quite early on. Even with it on, I still struggled with some levels. I can see why some people might be unhappy with this change, even though I don’t see them as an issue. On a similar note, in previous games weapons all had a limited number of uses before they broke. This added an interesting element of resource management to the games and encouraged you to buy new and more powerful weapons as you went on and needed to replace your old ones. In Fates all weapons can be used infinitely – I didn’t really see why this needed to be changed. It meant I ended up sticking with weak weapons from the start of the game for longer than I should have. This was only a minor problem though and is nothing next to all the good new features this game provides. And what are those features? Well, the biggest and most important is a branching storyline. In one of the earlier levels of the game, the main character is forced to decide which side of a war they will be fighting on and the story goes down a completely different path depending on if they choose one side or the other (or if they refuses to side with either.) I loved this and I felt that the characters were all so fleshed out and the story so interesting that I was more than happy to play through three times to see each version of events. I’ll try and talk about the content of the game’s story too, although it is hard due to the fact that it contains so many unexpected twists and developments. You play as a young person called Corrin (who can be male or female, as per your choice) who must decide between fighting with the family who raised them or fighting with their biological family (who both love them immensely.) What makes the decision so hard is that each family is full of very likeable characters: on one hand there’s his adorable adopted sister and immensely protective adopted brother – on the other, two birth sisters who are enormously overwhelmed with positive emotion to be reunited (to give just a few examples.) Along with all that, there’s the mysterious and aloof singer called Azura who remains enigmatic throughout the game and is as much a main character as Corrin themselves. One negative I would like to mention, however, is the way that this game was released. This doesn’t affect the quality of the experience, but it is still pretty frustrating. Essentially, it was released as two games – one for each side of the war, then you could get the other paths as DLC. I was very disappointed in Nintendo for this. It should have been one, all inclusive game – especially as releasing it like this means that people have to make the game’s decision before even buying it (unless you download the game, like I did.) A lot of people will want to play all of the paths, which makes the game crazily expensive (especially if you buy the smaller pieces of DLC too!) I hope one day they’ll release some kind of “definitive edition” of the game containing all of it at a reasonable price. Aside from that one gripe, it’s actually a really good game. The characters will stay in my heart for some time and completion of the game’s harder levels was so, so satisfying. 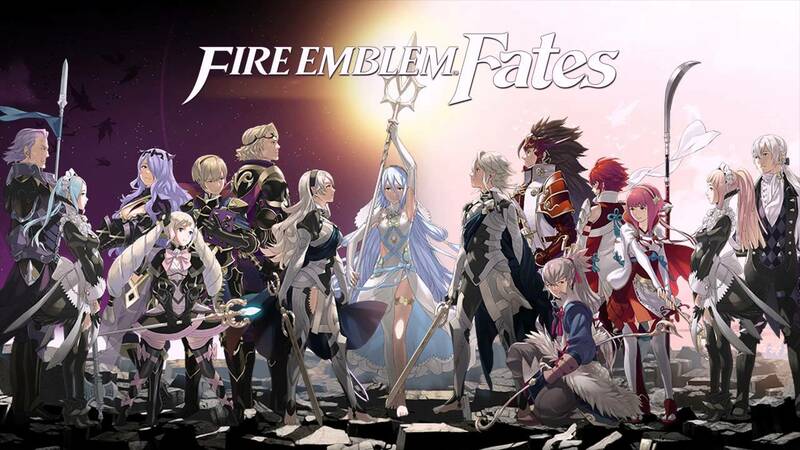 If you’re looking to get into the Fire Emblem series, it could be a great place to start. Buy Fire Emblem Fates: Birthright here. Buy Fire Emblem Fates: Conquest here.